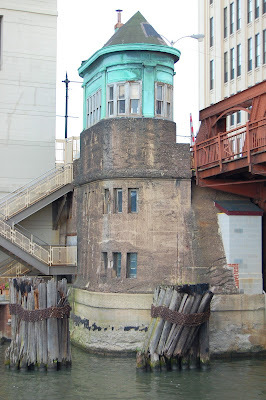 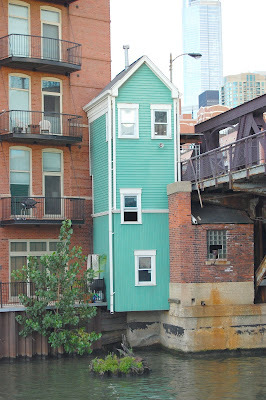 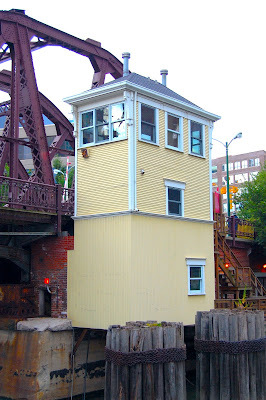 I've been meaning to post these photos of Chicago's adorable little bridge houses from our trip last month. 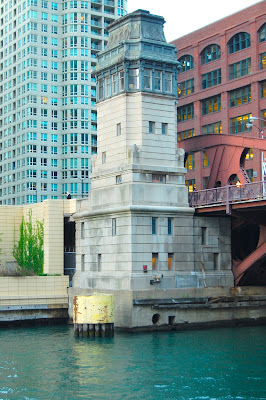 On our second night in the windy city, we decided to take a architecture boat tour to better view Chicago's historic high-rises. 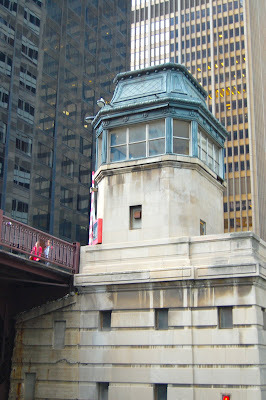 I have to say it was one of the best tours I've ever been on. 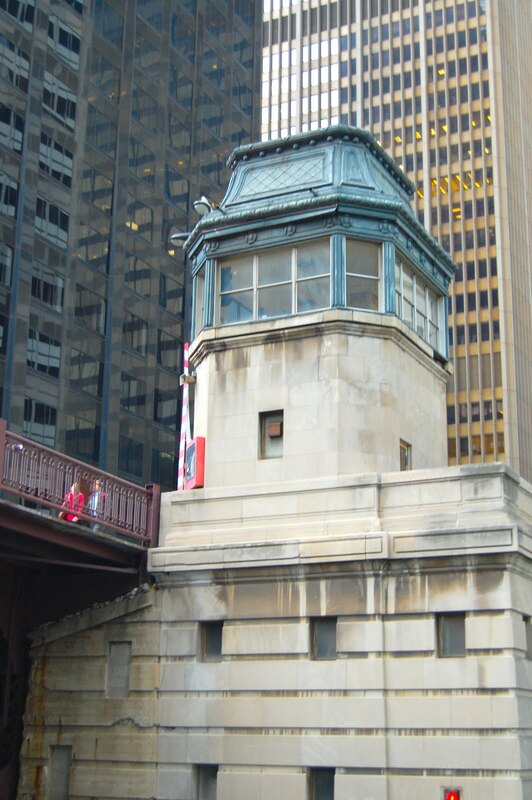 Not only was our guide, a local docent at Chicago's Architecture foundation, very enthusiastic and knowledgeable, but the tour also provided us with a chance to relax after a long day of sightseeing and presented an opportune moment to snuggle on a very chilly afternoon with our Bailey's hot chocolate in hand.